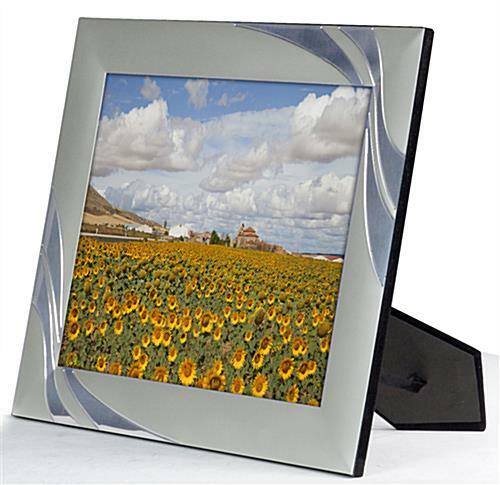 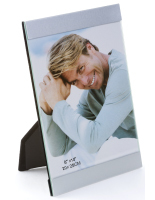 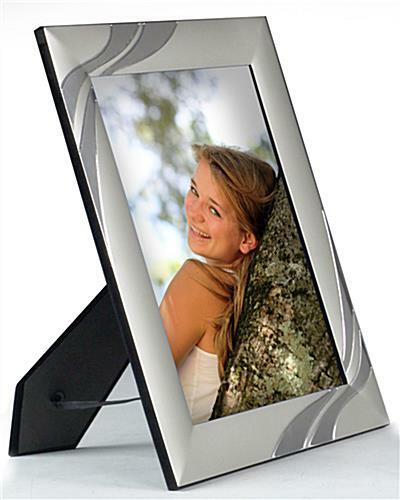 These silver photo frames w/ accent for office and home decor have a metal construction that keeps them affordable, with a reflective, decorative flair for added style. 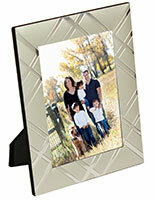 These plated enclosures make great family photograph holders. 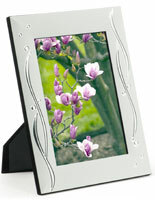 The decorative insignia at two diagonal corners draws attention to the visual. 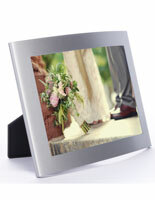 Each of these photo frames are sized for 4" x 6" prints. 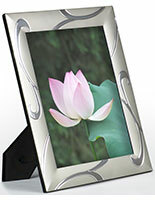 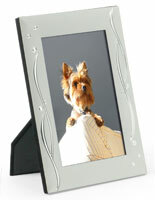 Enjoy the upscale look of silver or pewter, at the price of plated metal that adds a decorative flourish to home decor. 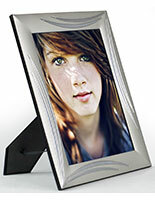 These frames w/ accent, such as print enclosures, are protected by a glass lens, and the backer has an extendable easel that orients a print in portrait or landscape.